News from LMCU: You’ll love our new mobile app upgrade! You’ll love our new mobile app upgrade! Open a new savings or checking account. Establish a new, or access an existing MasterPass™ account. Transfer balances from other credit cards to your LMCU credit card by simply snapping a picture of your statement. Check your mortgage application status and view monthly statements. Use new financial tools for budgeting and money management. Check credit card transactions and view statements. Look for our upgraded app to appear on your smartphone in the next few weeks. 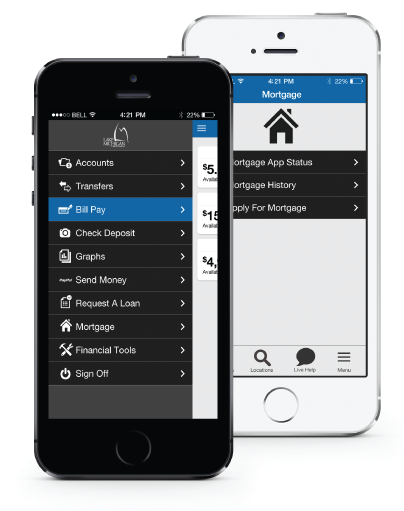 If you don’t already have our mobile app yet, what are you waiting for? It’s available for free by visiting the Apple App Store or Google Play.